1/2" BSP parallel female x 15 mm female copper, angled wallplate adaptor, bottom strapped with thread to BS 21. 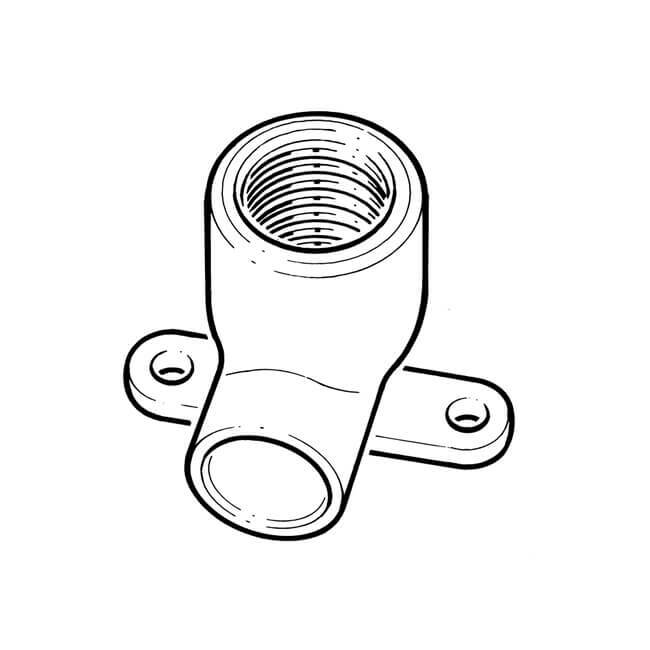 End feed fitting to BS 864-2:1983 or BS EN 1254:1998. 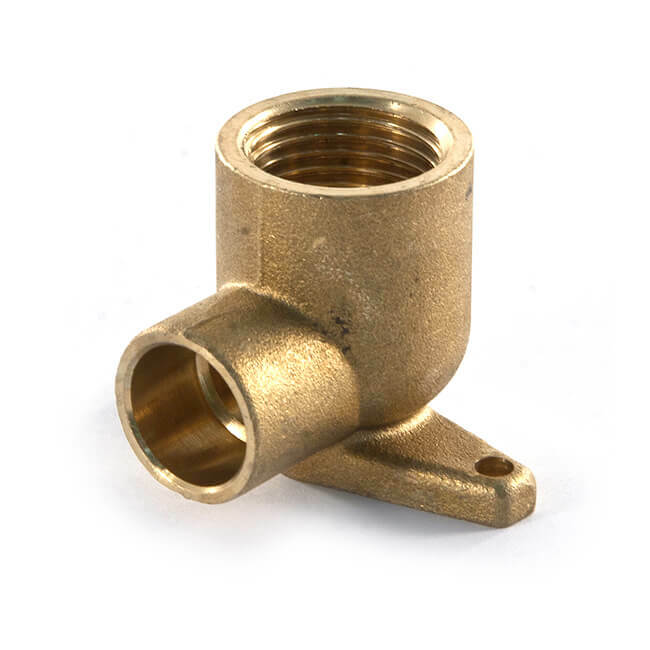 Bronze fitting manufactured to EN 1254-4:1998.